Uber revolutionises the entire taxi world with an application. A similar concept that works on Uber’s technology can be utilised to retouch the above-mentioned services. Ordering and dispatching would be simplified with the Uber-like taxi apps. Therefore, such model can be adopted by any sector that provides on-demand services to customers. A well-built platform serves as an online store for the particular service provider to get sales and deliver/dispatch services. The enriched features that simplify processes of taxi industry can also be suitable for delivering other services. All it requires nothing but a customisation. If you can get an app that is customised to suit your business model and requirements, that can be used as a platform to do your business in a way different. By establishing a strong online presence, you can take your brand to the next level. The technology of taxi management has the potential to handle any business that delivers on-demand services. 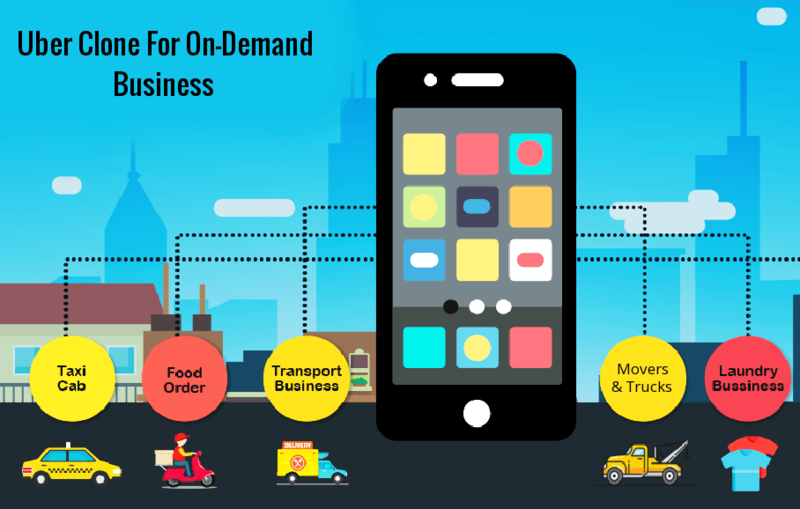 Taxi management software like Tagmytaxi is one of a kind that offers solutions to taxi companies and delivers customised solutions on request, a platform for all on-demand service providers. Every process can be automated to enforce sales and achieve efficiency as many taxi companies did with the Uber clone apps. If you think, your business needs one such software to keep up with the evolving industry. Show your interest by signing up in Tagmytaxi website. There you go and start your countdown!